Political Musings October 27, 2014: Why are Ebola health care workers purposely trying to spread the disease in US? Why are Ebola health care workers purposely trying to spread the disease in US? The mistreatment of a female writer might turn into a possible case of plagiarism at Southern Methodist University’s Center for Presidential History in Dallas, Texas in their Election 2004 project. SMU’s Presidential History Center has coerced submissions to their upcoming Election 2004 website project on the presidential campaign. They accepted entries, were completely satisfied with the writing, but then after refused to publish the author’s articles and give the author credit, using a ridiculous excuse unrelated to the actual entries or quality of writing, paid this author off, and then intend to hire someone to write the same entries, presumably from the model of the original author’s work. I know this going to happen, because I was the author taken advantage of in this situation. I am a woman, do not have a PhD or university affiliation, therefore I was an easy target. This past spring I answered a call to write entries for Southern Methodist University’s Center for Presidential History’s Election 2004 project on the presidential campaign and election. I was in contact with Dr. Brian Franklin, the project head and associate director. I was selected to write the entries on the Democratic National Convention and Ralph Nader, and then I was offered to write about John Kerry because in Dr. Franklin’s words I “seem[ed] so keen (and experienced!) on writing.” In the intervening time between accepting to work on the project and the deadline for submission I had a family emergency; the ongoing situation set me behind in my work, I had promised to get the entries in by the end of June, but I could not. During the summer months, I thought Dr. Franklin might have gotten someone else to write those entries, but then out of nowhere he emailed me on Sept. 9 appealing to me if I could still send the entries in, telling me he wants to me to submit them because as he wrote, “you have got so much great writing experience.” I sent two of them, the Kerry and DNC entries, to which Dr. Franklin told me “extremely thorough!” in an email on Thursday, Sept. 18, 2014. The only problem, I was having trouble was shortening the entries, I felt in doing so I would depriving them of vital information and watering them too much considering the importance of the topics. I told Dr. Franklin this when I sent the revised entries and the one on Ralph Nader on Sept. 21, 2014. It should not have been news to Dr. Franklin that I wrote long articles, I routinely write feature length articles, and of the over 400 articles I have written for Examiner.com I have written only a handful are less than 1000 words. Then to my surprise two days later, Dr. Franklin, tells me he would have to wait and see until November if he intends to even use the entries. I obviously felt like a fool, I was not even intending to continue to participate in the project, I was intending to use the entries I had written for my own blog. Then out of the blue, Dr. Franklin emails me, tells me the first two entries I sent were good, and tricked me to write and submit the third entry. After he received all my work, three different versions of the entries at varying lengths and my research, which he can neatly edit and alter and then not give me author credit, he tells me he might not use them and will not pay me until he decides. I responded and told him how I felt about CPH using my research and my “thorough” articles. As Dr. Franklin had previously agreed with me, there is very limited information on the 2004 campaign. 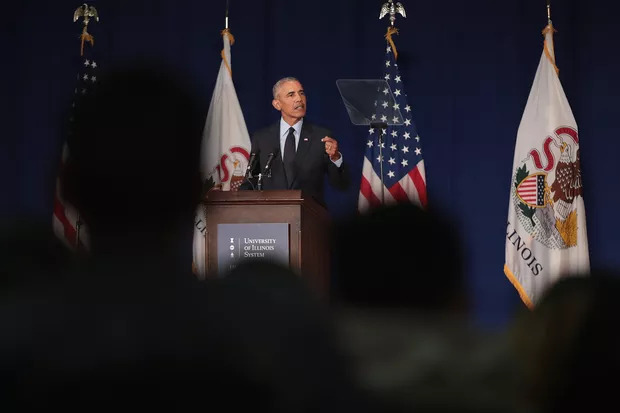 It ranks as one of the most insignificant presidential campaigns in history, except for President Barack Obama’s entry onto the public stage at the DNC and the results little else is even remembered. It is because of the limited sources on the campaign that makes it so easy to plagiarize my work. Any rewrites he does or has anybody do now that he has my work will be close to plagiarism. In the end, I sacrificed the quality of the content and edited the entries to the exact requested word limit, to which Dr. Franklin seemed satisfied, and agreed to use them and pay me for my work. Everything was fine until the Ebola outbreak, I did not want to receive mail from Dallas, Texas while there was a panic there, the fact that SMU is so close to Texas Health Presbyterian Hospital, made me more uneasy. Why should I living in Canada be concerned and involved in this issue so far away? Dr. Franklin told me the check would come from Oregon, but I was nervous as millions of Americans are about the outbreak, and since the payment information had been I already been transferred to the accounts payable office, I emailed them asked where exactly the check would be coming from. It was not something I did to be offensive; I had a concern especially at the height of this issue, as did millions of Americans. Dr. Franklin seemed to take great offense by this. Even though since then there has been more Ebola cases since then and everyone was in a panic or at the very least concerned about this issue. On Oct. 6, Dr. Franklin writes me “Finally, considering the correspondence that we have had thus far, I believe it is in our best interest to part ways at this point. Therefore, I want to inform you that we will not be publishing your articles on our website.” Although I was “paid” for my work, I was told I and everyone writing entries for the project held the copyright to their work, which is what makes the possibility of plagiarism even more offensive. I feel being paid was meant to hush me not to make an issue of not being published and given credit for my work, but as all authors the writing credit and being published is what matters the most. I personally believe when Dr. Franklin emailed me in September he had no intention of publishing my entries giving me an author credit, he just wanted my research and writing because of “my great writing experience.” From the minute I submitted them he started saying he would not publish them, why probably, because I do not have a PhD, I am not a professor, and I am a women he thinks it makes it more easier to treat me this way. His decision to not publish my entries has nothing to do with any communication I had with him, and as I told him, as long as the work is good, he should include my entries in the project. Dr. Franklin or CPH does not have to hire me again, but neither does they have to behave in such unprofessional matter, insult and make a fool of me. It is hard not to presume the worst, Dr. Franklin wanted me to submit all three entries and then when they were perfect and complete, he decides he will not publish them. How can I not feel that my writing was going to be altered, the research modified and used, but someone else given the author credit. No one would ever believe any doctorate needs to plagiarize off someone with only a master’s degree, so it is safe to do it. How can I believe them that my writing will not be copied in any way, shape or form. I was approached, tricked into submitting all three entries, then even before I said or could do anything wrong there was insinuations that my work would not be used with my name as the author. The sources are limited, even if there will be no word for word plagiarism, with all three versions at their disposable, paraphrasing, using the same sources is all considered plagiarism. If not Rick Perlstein would not be locked into controversy over the use of the same sources and quotes in his book “The Invisible Bridge: The Fall of Nixon and the Rise of Reagan” as in Craig Shirley’s “The Reagan Revolution: The Untold Story of the Campaign That Started It All.” In addition, I was paid to keep me satisfied and presumably quiet. How can I not believe if I was paid, they are going to pay someone and not use something from the work they paid me for, nobody pays someone for work if they do not plan to use it. The events are even more surprising given that the SMU is the home of President George W. Bush’s library, museum and presidential center, why would a department at the university even attempt such a thing. Even the smell of plagiarism or any academic misconduct accusation would be an embarrassment for the entire institution. This is not the first time my work would be used without being given the proper author credit or treated fairly because I was a woman without a PhD. In the fall of 2009, I worked for a former professor of mine, who was the latest editor working on the fourth edition of Fred L. Israel, and Arthur Meier Schlesinger’s “History of American Presidential Elections, 1789-2008.” I worked on writing and researching the overviews and chronologies, which was the biggest addition to this new edition besides entries on the 2004 and 2008 campaigns. It was four months of grueling hell, working sweatshop hours, typing until my figures bled; it destroyed my health. This professor remained coy, but alluded that I would be given a contributor credit. When I asked, he kept saying he could not confirm contributor credit with the editor at the publisher Facts on File until I finished the work, but used the credit as motivation to complete the project. In the end, I was never given that writer credit, instead receiving a little line in the acknowledgements, with the words, “Bonnie Goodman undertook the Herculean task of compiling the first drafts of the impressive election overviews and chronologies.” Would I have been so undermined if I had been a man or a PhD, probably not. This same professor often took my ideas from private conversations to use in his own work, op-eds, projects, etc, where I was never attributed or quoted. Years after I no longer speak to him, he is writing a book about a topic, Bill Clinton and the 1990s I told him to write about it back in 2001 when I was only an undergraduate and I conducted research for him on his biography of Hilary Clinton. I mentioned it again when he wrote a similar styled book on Ronald Reagan and the 1980s. I even did extra research for him in 2001, collecting primary sources on the topic, which I am certain he is using and of course I will not be given any credit for my role. Even when I was the Editor / Features Editor at HNN, History News Network, I was subjected to unfair treatment, because I was a woman without a PhD. While I edited the popular and well respected feature Top Young Historians, I edited a number of other features History Buzz and History Doyens, but in 2007 I was no longer writing articles, as I had in my first year as an intern, when I contributed nearly 20 articles. I yearned to write, but when I asked the editor-in-chief he told me I could not write op-eds for HNN, because I did not have a PhD. Neither did the editor for that matter, he dropped out of the history doctorate program at Harvard University in the late 1970s, without receiving even an MA, but he worked as journalist, wrote best-selling history books, all without the degree. At that time, I had already had my Masters in Library and Information Studies, and done three additional years of graduate work, instead I was relegated to write the “On This Day in History” feature, because it was based on facts, but no opinion. As anyone writing for Examiner.com knows, you do not have to have a PhD to write your opinions; in fact, most editorial writers do not have doctorates. Fast forward three years to 2010, despite my contributions to HNN, and my masthead ranking second under the editor-in-chief, I see myself being replaced by a college junior, who obviously did not even have a bachelors degree, never mind, PhD. Why did it not matter then, why was he later allowed to write opinion pieces, and articles, become the editor of the entire website publication without a doctorate or even being a graduate student, the difference he was a man and a woman. My whole time at HNN, I was the token female on the editorial staff, HNN has been always for the most part a good old boys club. My experiences shed light on how PhD and professors in academia take advantage of writers who although experts in their areas do not have a doctorate. I am librarian, a journalist, an editor and a historian who considers herself an independent scholar. It is difficult to gain respect in the academic world enough as a women, one without the golden degree, it is impossible. When I was in library school a professor of mine constantly discussed the disrespect professors had for librarians, including him, even though he had a PhD and the Master Library Science degree and in reality was the more educated one, there is a natural condescension for librarians in the university hierarchy; I already have that against me. Despite the fact the more women are graduating with doctorates in the humanities now, there is still sexism in the profession. Men because they are losing supremacy, try even more to dominate, intimate, and use women. For all feminism’s fight for equality between the sexes, that goal has still yet to be reached. More women have to speak up and tell what is going on, or else in the future places like Southern Methodist University’s Center for Presidential History will think they can mistreat women and attempt plagiarism just because they think they can get away with it, without anybody ever finding out. NOTE: The content of this article is based on my personal experiences, names are left out to preserve the privacy of the persons I am speaking about, however, if required, emails can be produced to prove the contents of this article. THE PRESIDENT: Good afternoon, everybody. I want to thank Secretary Hagel, Deputy Secretary Work, Chairman Dempsey, Vice Chairman Winnefeld, and all the outstanding leaders who are here today. This is a periodic check-in that I have with not only our service commander but also our COCOMs. And I thought, although usually we do this over the White House, now was a good time for me to come over to the Pentagon and have an opportunity to hear from our top military about the work that they’re doing. And I’ve said this before and I want to repeat: We put enormous burdens and enormous strains on our men and women of the armed forces, and each and every time, the members of our armed services, our troops perform in exemplary fashion. I think at a time when there’s so much turbulence in the world, never during my presidency has it become more apparent how good our military is, but also how they can tackle a wide range of problems and not just a narrow set of problems. It’s not just the finest military in the history of the world, it’s also just one of the best organizations we’ve ever seen at doing a whole bunch of different stuff. And so I expressed my gratitude to the leadership, but also asked them to express to those under their command the thanks of the American people. We had an opportunity to talk about ISIL and the campaign there. After this meeting, we’ll have a National Security Council meeting in which General Lloyd Austin, who’s leading Central Command, will further brief us on the progress that’s been made by the coalition there. Our strikes continue alongside our partners. It remains a difficult mission. As I’ve indicated from the start, this is not something that is going to be solved overnight. The good news is, is that there is a broad-based consensus not just in the region but among nations of the world that ISIL is a threat to world peace, security and order, that their barbaric behavior has to be dealt with. And we’re confident that we will be able to continue to make progress in partnership with the Iraqi government, because ultimately it’s going to be important for them to be able to, with our help, secure their own country and to find the kind of political accommodations that are necessary for long-term prosperity in the region. We had a chance to talk about the fight against Ebola, and I got a briefing from General Rodriguez. Our military is essentially building an infrastructure that does not exist in order to facilitate the transport of personnel and equipment and supplies to deal with this deadly epidemic and disease. And we are doing it in a way that ensures our men and women in uniform are safe. That has been my top priority, and I’ve instructed folks we’re not going to compromise the health and safety of our armed services. But what’s true is, we have unique capabilities that nobody else has. And as a consequence of us getting in early and building that platform, we’re now able to leverage resources from other countries and move with speed and effectiveness to curb that epidemic. We had a discussion about global security generally, including the work that, with General Breedlove, we’re doing at NATO to mobilize Europe around the increased threats posed by Russian aggression in Ukraine and against some of its neighbors. We had a very successful meeting in Wales that showed the commitment from all 28 NATO countries to redouble the reassurance they can provide to frontline states to invest further in the joint capabilities that are necessary. And I very much appreciate the leadership that General Breedlove has shown on that front. And I got a chance to get a briefing from Admiral Locklear of the Pacific Command about the ongoing both challenges and opportunities in the Pacific. It’s been noted that our alliances in that area have never been stronger. We are very much welcomed as a Pacific power in the region. And our ability to continue to maintain a presence that ensures freedom of navigation, that international law is observed is going to be critically important. And we need to do that in a way that also reflects our interest in cooperation and effective communication with China, which obviously is a major player in the region. But the anchor of our presence there, our treaties and alliances with key countries like South Korea and Japan, obviously remain critically important. And thanks to the work of some of the gentlemen sitting around this table and their staffs, those alliances have never been in better shape. Finally, we had a chance to talk briefly about defense budget and reforms. We have done some enormous work, and I want to thank everybody sitting around this table to continue to make our forces leaner, meaner, more effective, more tailored to the particular challenges that we’re going to face in the 21st century. But we also have to make sure that Congress is working with us to avoid, for example, some of the Draconian cuts that are called for in sequestration, and to make sure that if we’re asking this much of our armed forces, that they’ve got the equipment and the technology that’s necessary for them to be able to succeed at their mission, and that we’re supporting their families at a time when, even after ending one war and winding down another, they continue to have enormous demands placed on them each and every day. So I want to thank everybody around this table. A special thank-you to General Austin for the enormous amount of work that’s been done by CENTCOM in what is a very challenging situation. We very much appreciate him. I want to thank General Rodriguez for the great work in standing up our operations in West Africa. And finally, I want to say publicly a hearty thank you to Jim Amos, who somewhere between eight to 10 days from now — (laughter) — will be retiring from his command. He is the 35th Commandant of the Marine Corps, the first aviator to command our Marine Corps. I know that he could not be prouder of the men and women under his command. They continue to make us proud. They certainly make him proud. We want to thank him and Mrs. Amos and the entire family for the great service that they’ve rendered to our country. THE PRESIDENT: Good afternoon, everybody. I just had an opportunity to get a full briefing from my entire team across administrations — across agencies on the aggressive steps that we are taking to fight the Ebola epidemic, to stop the epidemic at its source in West Africa but also to make sure that we are doing everything we need to do to prevent an outbreak here in the United States. As I’ve said from the start of this outbreak, I consider this a top national security priority. This is not just a matter of charity — although obviously the humanitarian toll in countries that are affected in West Africa is extraordinarily significant. This is an issue about our safety. It is also an issue with respect to the political stability and the economic stability in this region. And so it is very important for us to make sure that we are treating this the same way that we would treat any other significant national security threat. And that’s why we’ve got an all-hands-on-deck approach — from DOD to public health to our development assistance, our science teams — everybody is putting in time and effort to make sure that we are addressing this as aggressively as possible. I know that the American people are concerned about the possibility of an Ebola outbreak, and Ebola is a very serious disease. And the ability of people who are infected who could carry that across borders is something that we have to take extremely seriously. At the same time, it is important for Americans to know the facts, and that is that because of the measures that we’ve put in place, as well as our world-class health system and the nature of the Ebola virus itself — which is difficult to transmit — the chances of an Ebola outbreak in the United States is extremely low. Procedures are now in place to rapidly evaluate anybody who might be showing symptoms. We saw that with the response of the airplane in Newark and how several hospitals across the United States have been testing for possible cases. In recent months we’ve had thousands of travelers arriving here from West Africa, and so far only one case of Ebola has been diagnosed in the United States, and that’s the patient in Dallas. Our prayers are obviously with him and his family. We have learned some lessons, though, in terms of what happened in Dallas. We don’t have a lot of margin for error. The procedures and protocols that are put in place must be followed. One of the things that we discussed today was how we could make sure that we’re spreading the word across hospitals, clinics, any place where a patient might first come in contact with a medical worker to make sure that they know what to look out for, and they’re putting in place the protocols and following those protocols strictly. And so we’re going to be reaching out not only to governors and mayors and public health officials in states all across the country, but we want to continue to figure out how we can get the word out everywhere so that everybody understands exactly what is needed to be done. Meanwhile, at the federal level, we’re constantly reviewing and evaluating the measures that we already have in place to see if there are additional improvements. We continue to look at any additional steps that can be taken to make sure that the American people are safe, which is our highest priority. And finally, we had a discussion about what we’re doing on site in West Africa. There’s been already extraordinary work done by the Department of Defense in conjunction with the CDC in standing up isolation units and hospital beds. We are making progress. The environment is difficult because the public health system there has very few resources and is already extraordinarily fragile. And I’ll be very honest with you — although we have seen great interest on the part of the international community, we have not seen other countries step up as aggressively as they need to. 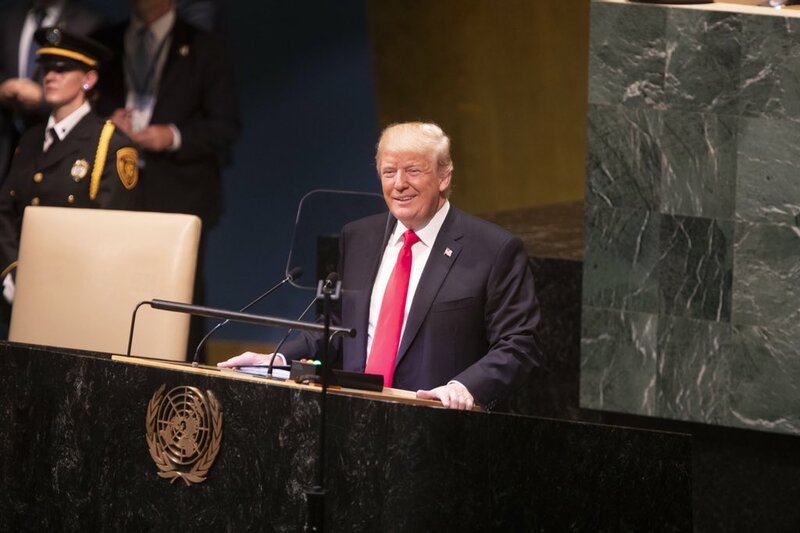 And I said at the United Nations, and I will repeat, that this is an area where everybody has to chip in and everybody has to move quickly in order for us to get this under control. Countries that think that they can sit on the sidelines and just let the United States do it, that will result in a less effective response, a less speedy response, and that means that people die, and it also means that the potential spread of the disease beyond these areas in West Africa becomes more imminent. So I’m going to be putting a lot of pressure on my fellow heads of state and government around the world to make sure that they are doing everything that they can to join us in this effort. We’ve got some small countries that are punching above their weight on this, but we’ve got some large countries that aren’t doing enough. And we want to make sure that they understand that this is not a disease that’s going to discriminate, and this is something that all of us have to be involved in. So the bottom line is, is that we’re doing everything that we can to make sure, number one, that the American people are safe; I’m confident that we’re going to be able to do that. But we’re also going to need to make sure that we stop this epidemic at its source. And we’re profoundly grateful to all our personnel — our medical personnel, our development personnel, our military personnel who are serving in this effort. It’s because of their professionalism, their dedication and their skill that we are going to be able to get this under control, but this is a faraway place, with roads that in many cases are impassable, areas that don’t have even one hospital. We’re having to stand up, essentially, a public health infrastructure in many of these areas that haven’t had it before, and that requires an enormous amount of effort. I’m very grateful for the people who are on the front lines making this work. It’s a reminder once again of American leadership. But even with all the dedicated effort that our American personnel are putting in, there are going to be — they need to be joined by professionals from other countries who are putting up similar effort and similar resources. And so I hope they’re going to be paying attention over the next several weeks so we can get on top of this. Q What do you say to the American people who remain nervous in spite of your assurances? THE PRESIDENT: Well, I just explained to them that the nature of this disease — the good news is, is that it’s not an airborne disease. We are familiar with the protocols that are needed to isolate and greatly reduce the risks of anybody catching this disease, but it requires us to follow those protocols strictly, and that’s exactly what we are in the process of doing. And the CDC is familiar with dealing with infectious diseases and viruses like this. We know what has to be done and we’ve got the medical infrastructure to do it. But this is an extraordinarily virulent disease when you don’t follow the protocols. And so the key here is just to make sure that each step along the way — whether it’s a hospital admissions desk, whether it is the doctors, the nurses, public health officials — that everybody has the right information. If they have the right information and they’re following those protocols, then this is something that we’re going to be able to make sure does not have the kind of impact here in the United States that a lot of people are worried about. But that requires everybody to make sure that they stay informed. Most particularly, we’ve got to make sure that our health workers are informed. We’re also going to be working on protocols to do additional passenger screening, both at the source and here in the United States. All of these things make me confident that here in the United States, at least, the chances of an outbreak, of an epidemic here are extraordinarily low. But let’s keep in mind that, as we speak, there are children on the streets dying of this disease — thousands of them. And so obviously my first job is to make sure that we’re taking care of the American people, but we have a larger role than that. We also have an obligation to make sure that those children and their families are safe as well, because ultimately the best thing we can do for our public health is also to extend the kind of empathy, compassion and effort so that folks in those countries as well can be rid of this disease. THE PRESIDENT: A lot of volunteering. Thank you, everybody. THE PRESIDENT: Thank you so much. Good afternoon. Please be seated. To all our disabled veterans — our extraordinary wounded warriors — we gather here today, on this gorgeous autumn day in America, because each of you endured a moment that shaped the arc of your lives and that speaks to our debt as a nation. Wherever you were, whatever your story, it was the moment that binds each of you forever — that moment of realization that life would not be the same. Your foot. Your hand. Your arm. Your leg — maybe both. Your sight. Your peace of mind. A part of you was gone. Speaking to his fellow veterans of the Civil War, the great Oliver Wendell Holmes, Jr. once said, “As I look into your eyes I feel…that a great trial in your youth made you different…different from what we could have been without it.” And he said, we learned “a lesson early which has given a different feeling to life” — a sense of duty that burns like a fire in the heart. To Lois Pope, Art Wilson and everyone at the memorial foundation and our incredible veterans service organizations who devoted so many years of effort, especially our friends at the Disabled American Veterans; to all the architects and craftspeople who lent your talents to bring this memorial to life; members of Congress, Secretaries Jewell and McDonald; distinguished guests; and most of all, to our veterans who have come to know “a different feeling to life,” and to your families — it’s a great honor to be with you here today. For more than two centuries, Americans have left everything they have known and loved — their families and their friends — and stepped forward to serve: to win our independence, to preserve our Union, to defend our democracy, to keep safe this country that we love. And when the guns fall silent, our veterans return home, ready to play their part in the next chapter of our American story. As a nation, we have not always fulfilled our obligations to those who served in our name. This is a painful truth. And few have known this better than our veterans wounded in war. In the first years after our Revolution — when our young nation still resisted the idea of a standing army — veterans of the Continental Army returned to towns that could be indifferent to their service. One veteran — his hand mangled by a British musket ball — was deemed, like many veterans, as “unfit for labor.” And frustrated by his inability to secure a disability pension, he wrote that “many of those who aided in conquering the enemy are suffering under the most distressing poverty.” After the Civil War, and again after the First World War, our disabled veterans had to organize and march for the benefits they had earned. Down the decades, our nation has worked to do better — to do right by these patriots. Because in the United States of America, those who have fought for our freedom should never be shunned and should never be forgotten. So, today, we take another step forward. With this memorial we commemorate, for the first time, the two battles our disabled veterans have fought — the battle over there, and the battle here at home — your battle to recover, which at times can be even harder, and certainly as longer. You walk these quiet grounds — pause by the pictures of these men and women, you look into their eyes, read their words — and we’re somehow able to join them on a journey that speaks to the endurance of the American spirit. And to you, our veterans and wounded warriors, we thank you for sharing your journey with us. It is here we can see your perseverance — your unyielding faith that tomorrow can be better; your relentless determination, often through years of hard recovery and surgeries and rehab, learning the simple things all over again — how to button a shirt, or how to write your name; in some cases, how to talk or how to walk; and how, when you’ve stumbled, when you’ve fallen, you’ve picked yourself up, you’ve carried on, you’ve never given up. Here we get a glimpse of the wounds within — the veteran who says, “I relive the war every day.” Because no matter what war you served in — and whether they called it “shell shock” or “battle fatigue,” or the “1,000-yard stare” or post-traumatic stress — you know that the unseen wounds of war are just as real as any other, and they can hurt just as much, if not more. Here we’re reminded that none of you have made this journey alone. Beside each of you is a wife or a husband, mothers and fathers, brothers and sisters, sons and daughters, and neighbors and friends — who day after day, year after year, have been there, lifting you up, pushing you further, rooting you on — like the caregiver who said, “I loved him for who he was in his heart. And he still had that.” Today we salute all your families, and the love that never quits. I’ve seen Dawn’s story over and over and over again — in all the wounded warriors and veterans that I have the honor to meet, from Walter Reed to Bethesda to Bagram. I know in Dawn’s life, many of you see your own. Today, I want every American to see it. After everything you endured, after all the loss, you summoned the best in yourself and found your strength again. How many of you learned to walk again and stand again and run again. How you’ve competed in races and marathons and the Paralympics, on Team USA. How you found joy and love — getting married, raising children. How you found new ways to serve — returning to your units or starting new businesses, or teaching our children, or serving your fellow veterans, or leading in your communities.